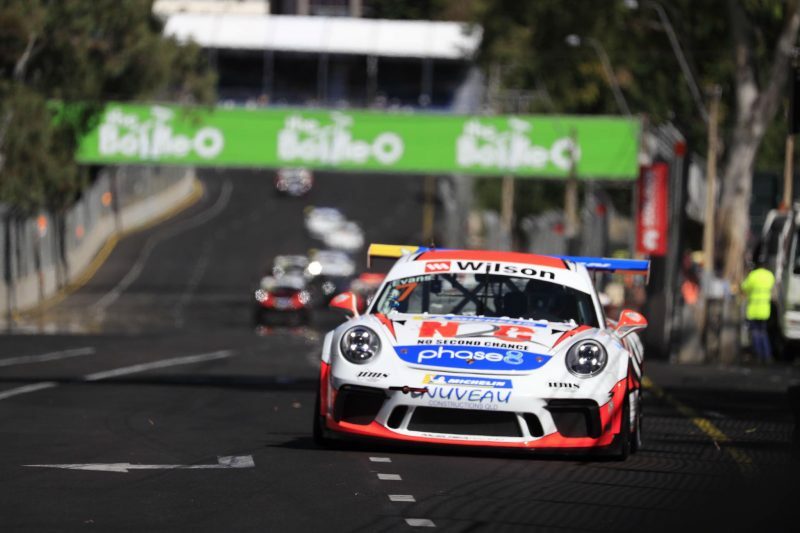 A commanding performance from Jaxon Evans has seen him claim his first Porsche Wilson Security Carrera Cup Australia win of the season in Adelaide. Starting on the front row, the McElrea Racing driver jumped well to move into a lead from which he was never challenged. He eked out a comfortable gap over second placed David Wall, with Dylan O’Keeffe rouding out the podium. Having won Friday’s race, Dale Wood bogged down at the start and found himself swamped heading into the Senna Chicane for the first time. Wood bounced over the kerb, doing well to hold on to the Porsche as it slewed sideways, instinctive reactions from O’Keeffe preventing the incident turning into a larger shunt. 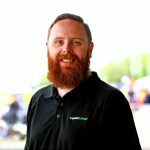 James Moffat also found a way through to take fourth place, Wood dropping to sixth at the flag after also losing out to his Sonic Motorsport team-mate Michael Almond. Roger Lago repeated his Race 1 feat to win the Pro-Am class as he ended the 15-lap encounter ninth. Max Twigg and Stephen Grove rounded out the class podium, the duo locked in battle for 12th on the road. Evans’ final margin of victory was just over two seconds from Wall, while a late move from Almond saw Moffat demoted to fifth within sight of the flag. Post race penalties for kerb strikes at the Senna Chicane saw four drivers receive penalties, including Wood who was relegated behind Love as a result. Porsche Carrera Cup returns to the streets of Adelaide for its final race at 0905 local time on Sunday morning.